SYDNEY-born businessman Gregory Constantine has taken a giant step towards his NBA dream by becoming the youngest owner of a G-League franchise. 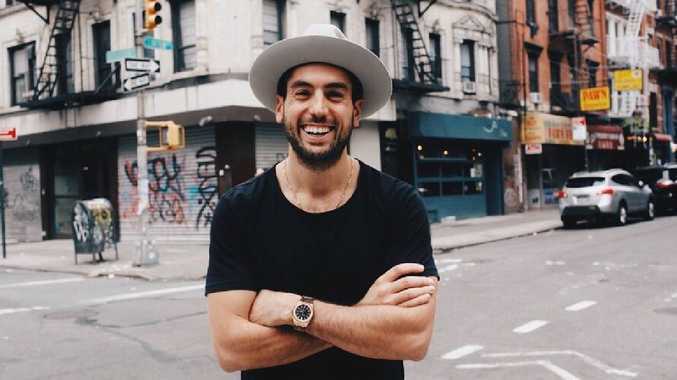 Constantine, an Australian entrepreneur and Forbes' 30 Under 30 recipient, has an ownership stake in the NBA's Detroit Pistons Minor League Team, The Grand Rapids Drive. It's an impressive achievement for a 27-year-old who has his sights set on owning an NBA franchise. "That is definitely something to work towards," said Constantine, who started his career as a marketing and tour manager in Australia working with artists such as Snoop Dogg. "But for now it is just great to be a part of a league and a sport that is just growing and becoming more global year after year. "The Grand Rapids Drive are primed for incredible growth and I'm thrilled to become an owner of such a great team under the helm of the brilliant leadership and management of the team's president and majority owner, Steve Jbara. "From a young age in Australia, sports have always been close to my heart. "Now, with the strength of Australian basketball both inside and outside of the United States I am very much looking forward to helping create a direct pathway for Australian talent to and from the US and the NBA." Constantine met Grand Rapids Drive president Jbara as peers at Harvard Business School. After establishing a mutual love of the basketball league, the duo solidified the partnership with the aspiration of creating a global pathway for players from Australia. Constantine has also taken a stake in the team and an active working role as the interim chief marketing officer to help build awareness and sustained growth. He will also take an active board seat. As a former player with a deep passion for basketball and business, Constantine wants to use the G-League as a platform to create a pathway to Australia. "I've got nothing in place yet but I'd love to build and grow a relationship with the NBL," he said. "I think utilising the network of the NBL and the G-League to showcase that there is amazing talent in Australia. "I think that is a unique position to be in and something I really want to try and do. "It is why I resonate with the G-League especially this notion of hardship, persistence, hard work and work ethic. "A lot of players in the G-League have either come down from the NBA or are trying to make their way towards the NBA. "I guess that point for them in their careers really resonated with me and I guess a lot of Australians." Constantine also has plans to use his strong connections with Australian NBA stars such as Ben Simmons, Joe Ingles and Matthew Dellavedova. "I try and keep a good relationship with as many of those players as possible," he said. "Guys like Ingles, Dellavedova and Andrew Bogut, who is back in Sydney. "I'm ecstatic to be in the league but I also want to really think about how I can utilise that to help create a really great pathway. "We've got so much talent in Australia and we are seeing it over here in the US."